Below you will find two of the only known existing images of Octavius Winslow. For someone who wrote so prolifically and had such a great impact on the church through his works, it is a shame there are no other images of him. The story behind how these images were discovered will accompany each image. Through the years, the writings of experimental Calvinists such as Octavius Winslow have been the most instrumental in leading me to live upon God as my very best portion, and in shepherding our church family to do the same. After reading Winslow for some time with great profit, I started collecting his writings around 2005. In mid 2006, I corresponded with Iain Murray to ask his ideas on publishing the collected works of Winslow and if enough information is available to write a biography. Iain had considered the matter himself and doubted if sufficient source material would be available for a biography, but offered his collection of books and sermons by Winslow to fill out what I lacked. Late in August, a friend named Scott Meadows who knew of my appreciation for Winslow came across a picture for sale on eBay. Scott helped me set up an account so that I could bid on the photograph. On August 29, before the bidding began I wrote to the owner whose name is Laura Colosanti. Laura is a collector of old photographs and when she decided to sell some of them, she did research on Winslow for herself. Laura lives near the place Winslow pastored in New York and was glad to hear of my interest in Winslow and wrote that she could not remember who she purchased the photo from originally, though she did recall that it was purchased from someone in England who came across a Victorian photo album that was falling apart. Each of the photos was labeled in the album, and the seller made sure to carefully include the label with each corresponding photo that was sold. On Saturday September 2, I entered my bid and succeeded in purchasing the picture of Dr. Winslow DD for a little less than $30. Shortly afterwards, I wrote to Gary Brady of the Evangelical Library of London who also has interest in Winslow. I offered an electronic copy for him to post on his website with other information about the man whose writings we have come to profit from so greatly. Since that time, Gary has given my name to other lovers of Winslow, one whose name is Tanner Turley who recently completed his doctoral dissertation on “The Experimental Preaching of Octavius Winslow.” The last call I received regarding Winslow was from Matthew Blair who has put together this wonderful website with the collected writings of Winslow. I am very happy to provide a copy of this photo for the site he has created and hope that you increasingly grow in your appreciation of this careful expositor who aims at the mind, will, and especially the heart. It is also my great desire that through his writings you may grow in experimental Calvinism, a kind of vital Calvinism that proves in every sphere of life that the Sovereign Lord is your All. But the question may still be asked, “How do we know this is Octavius and not another minister named Winslow?” Murray Brett tells me that on the front of this image the name “Dr. Winslow D.D.” is penciled in at the top. But yet still this does not prove that this man is our Octavius. To further this investigation, I contacted the Church of England and was in turn contacted by Dr. Rachel Cosgrave who is the Deputy Archivist at Lambeth Palace Library, London. 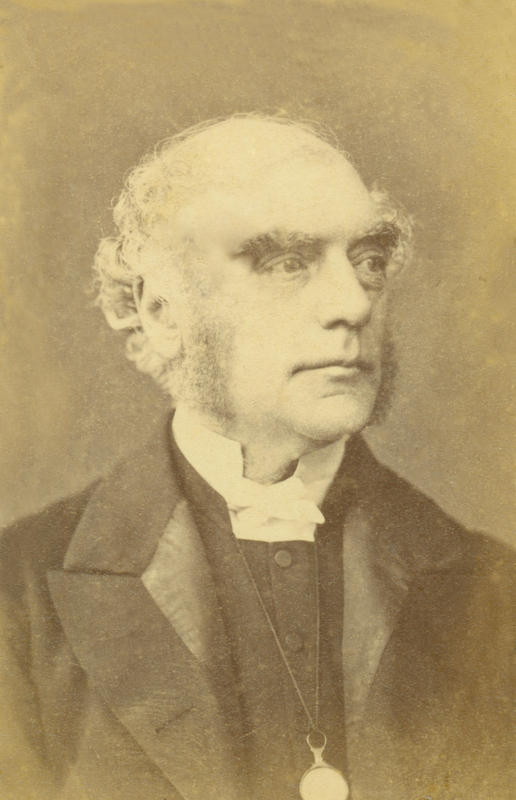 She forwarded a scan of the Crockford’s Clerical Directory of 1878 which shows all of the ministers of the Church of England at that time with the name Winslow. None of them had a Doctor of Divinity (D.D.) except one….Octavius Winslow. That, in my mind, sealed the deal as to who the image truly was. Many thanks to Murray Brett for taking the time to scan these images at 1200dpi and making them available to me for posting here and to JM Vergara for providing his expert skills in Photoshop to help make these images more enjoyable and clear. Then, in March of 2011, I was contacted via one of the comments on the blog by someone from England stating that they had in their possession a previously unknown etching of Octavius, complete with signature. 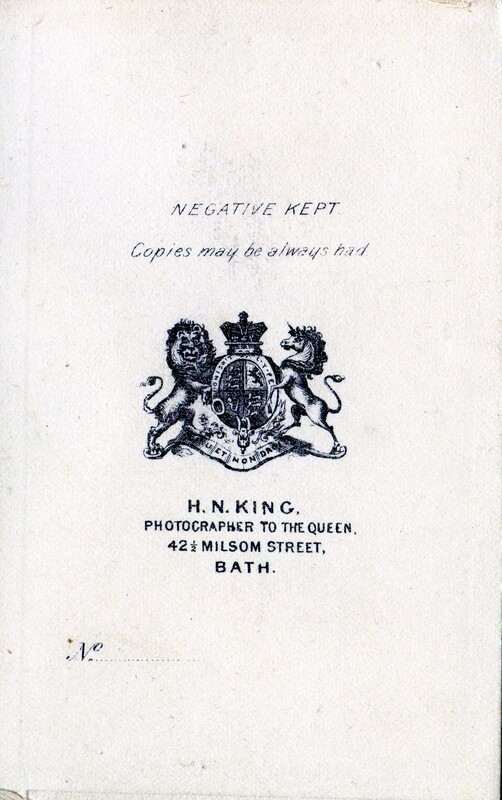 I contacted this person (who wished to be known simply as Peter) and he told me that he had this image in a collection of original nonconformist documents that his family had amassed over the years and that he would be happy to share the image with me. Needless to say, I was very excited to learn of its existence and that he was willing to share it with me. Also, with the addition of this etching to the image collection, we can now prove beyond any shadow of a doubt that the photograph above is indeed our Octavius Winslow D.D. In 2014, I was contacted by Mark Pearce stating that he had found two previously unknown images of Winslow in old family albums that he recently inherited. I would like to provide a bit of context stating the history of these two images written by their owner. He has also provided two photos of the actual albums. 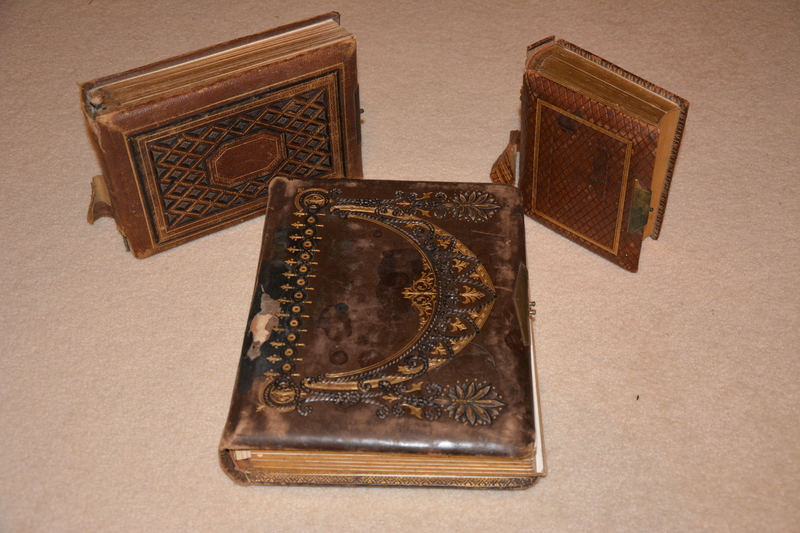 The Archdall albums with Winslow images and their placement. For the last 60 or so years three photograph albums (containing a total of 179 images with many unnamed) have been in the possession of my uncle. I was fortunate to inherit these upon his death a few years back. 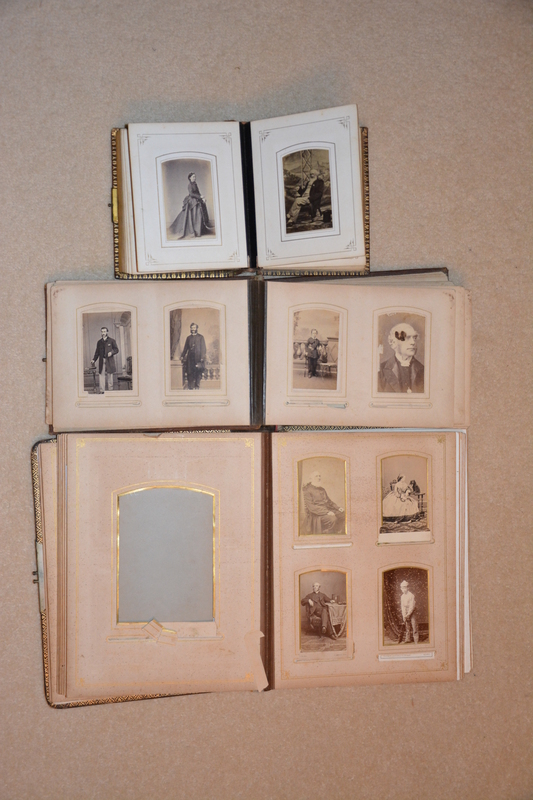 These have always generally been called by the family “The Archdall photograph albums”. My great grandmother (paternal grandfather’s mother) had the surname Archdall. The Australian branches of this family generally use the surname Archdall but other lines use both Archdale and Archdall. They are an interesting family and fairly well documented with a full genealogy back to the 16th century given in Burke’s Irish Family Records. There is even a US connection with one John Archdale, a Quaker, being a Governor of North Carolina 1695-1697. 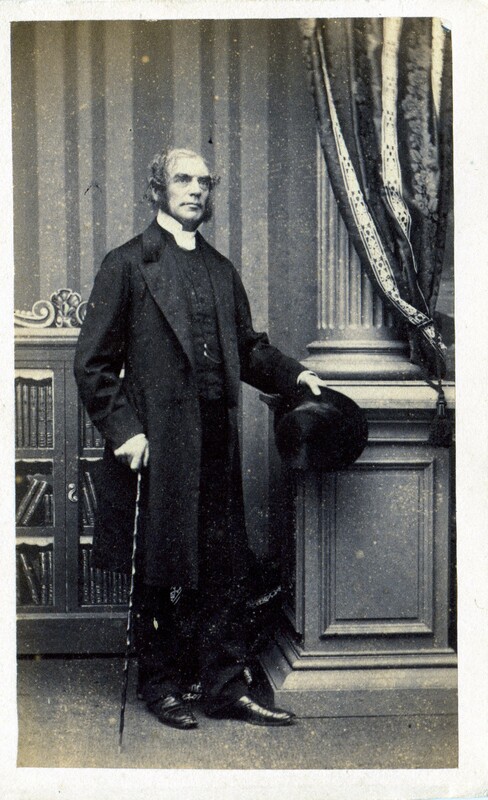 My great great grandfather was a Rev Charles Archdall (born 1808 Co. Waterford; Trinity College Dublin BA 1830, MA 1835). He was ordained Deacon 1830 and Priest 1831. Married in 1835 Matilda Adelaide Booth. He served in various parishes in Ireland but with the disestablishment of the Irish Church in 1869, at some point he resigned his living and the family decided to emigrate to Australia. Two of his sons arrived here before the rest of the family in 1870, whilst Charles, his wife, and 2 daughters (one of whom was Isabella born in 1841 who became my great grandmother) left London on 3 Jan 1872 on the ship “Commissary” which arrived here in Sydney on 5 Apr 1872. 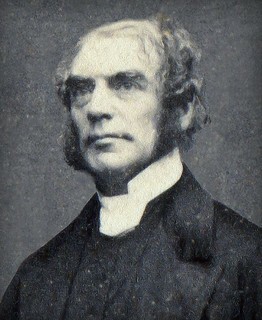 Charles served in a number of Sydney parishes until his death in 1879. 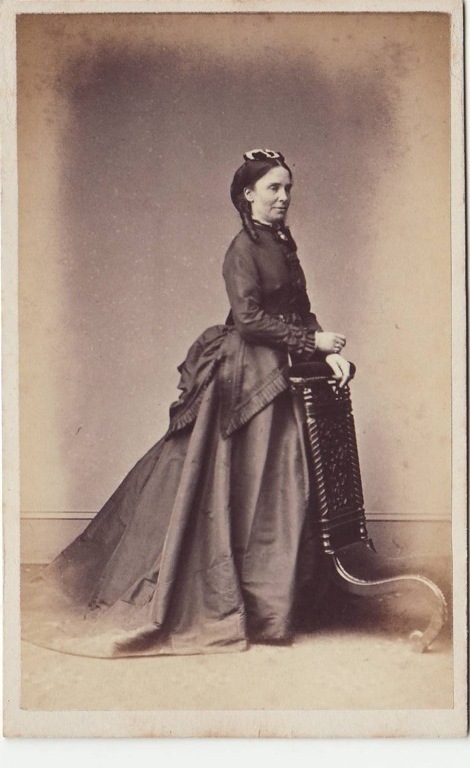 So it was one of this family group who owned the photograph albums and many of the photographs would have been with them on that voyage as some date back to 1860 and have been taken by photographers in both Ireland and England. None of the family were ever to return to visit the UK. As to how a photograph of Octavius Winslow made it into these albums unsurprisingly we can’t be sure. 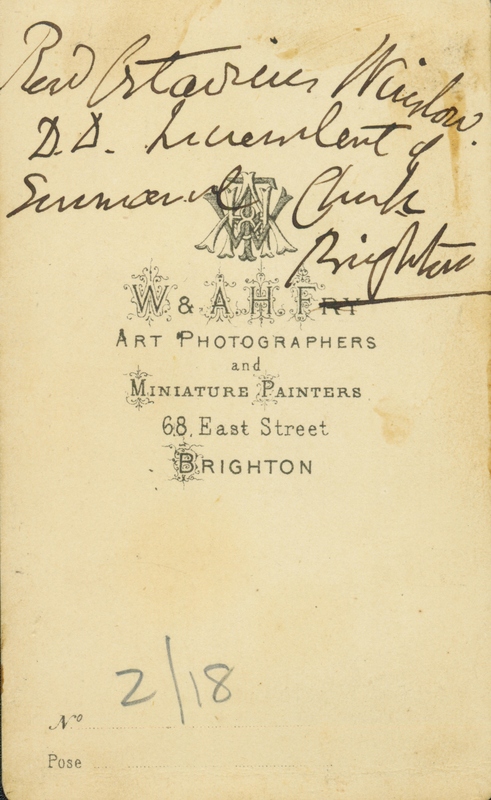 But the career of Charles Archdall becomes a little hazy in the period prior to their departure for Australia and I am not wondering if they spent some time in England after they left Ireland and at some point in that period came in contact with Winslow who personally signed and handed them the photograph. 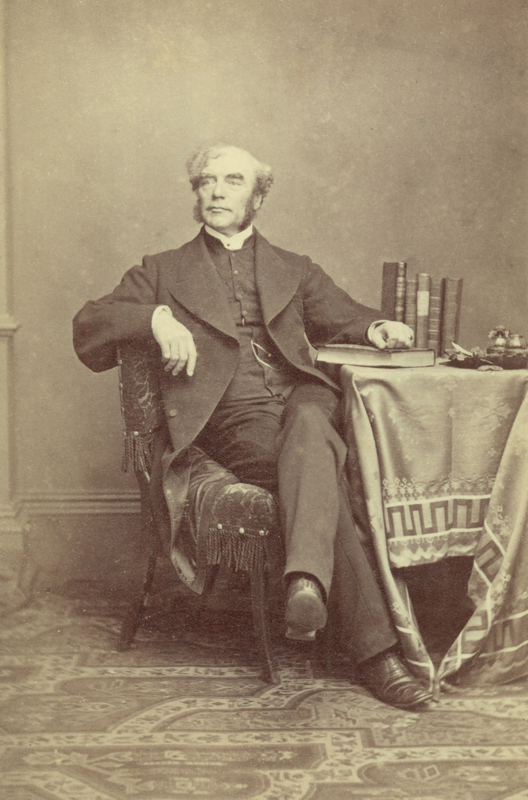 The albums contain many photographs of clergy and, although there were many in the family, I suspect that many are acquaintances with whom they came in contact during their ministry. I should mention a couple of other things about the photograph. 2. This album has pages which display 4 photos per page. I don’t believe that the other photos on the page where Winslow is displayed have any connection to him. Octavius Winslow taken in Bath (front). He would be 50-60 years old. Octavius Winslow in Brighton (front). He would be 60-70 years old. 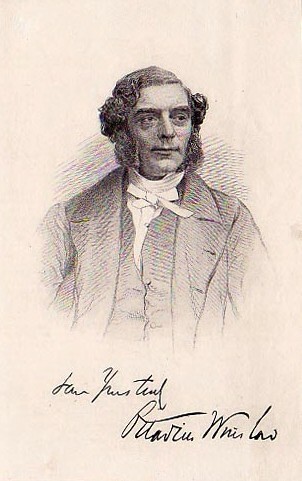 He died at the age of 70 in 1878. Octavius Winslow in Brighton before and after. An Image of Hannah or Emma Winslow? Among the images Mark Pearce shared with me is the image shown below. Mark and I put our heads together and have come to the conclusion that this may actually be an image of Winslow’s wife Hannah or his sister Emma who lived with Octavius and his family at the time. If it is, this would be the only known image of either one of them. It should be duly noted that I cannot prove that this image is of either women. However, there is a bit of circumstantial evidence that leans in its favor. 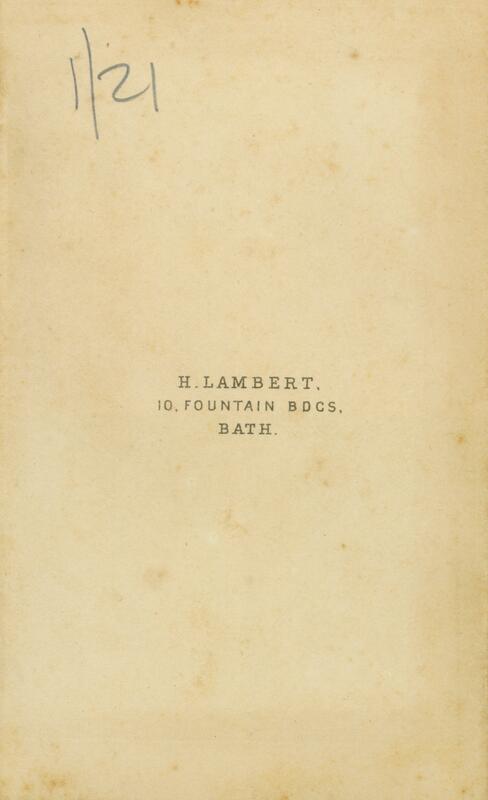 The address on the back of her cabinet card shows an address of 41 Milson Street in Bath. 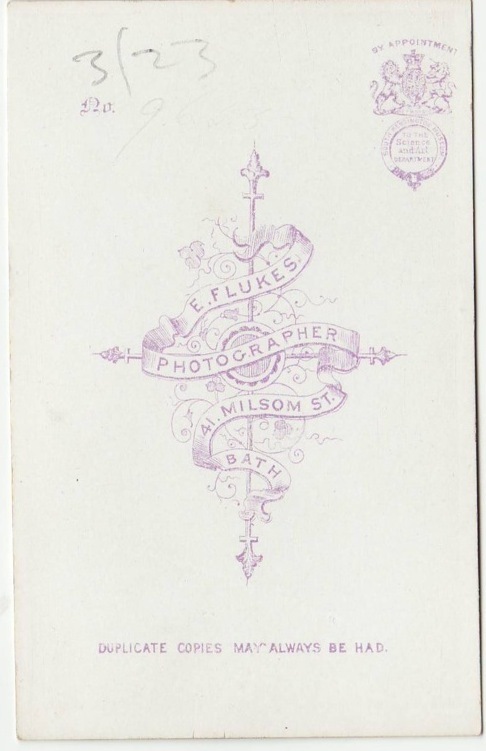 The address located on the back of Winslows cabinet card shows an address of 42 1/2 Milsom Street. The two addresses are right next door to one another. If you look at a map of the area where the Winslows lived at the time, you will notice these addresses are in the direct path of the route from their front door to Kensington Chapel where Winslow was pastor. Another bit of information can be found in what she is wearing. She appears to be wearing all black, which women of the time wore to show they were in a time of mourning. Looking at a list of their children who died during this time, it might be possible she may have still been mourning the death of their son John Whitmore Winslow who died in 1856. Either that or possibly a family member or acquaintance of either woman. Finally, Mark Pearce tells me that of all the images in his albums, this is the only image of a photograph taken by this photographer at this address. 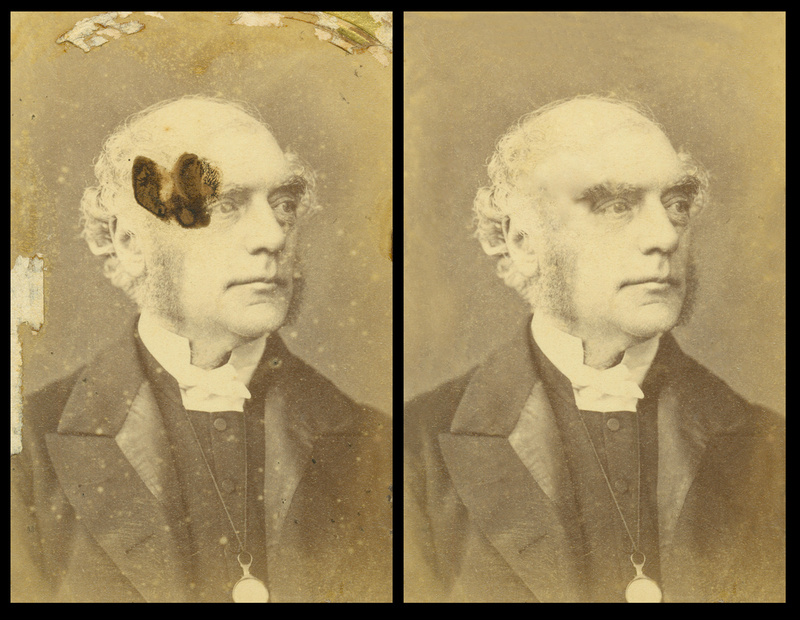 Since there are two other images of Octavius in the albums and the fact that one of them was personally signed by Octavius, we might conclude that the owner of the image was associated with the Winslows and may have known Emma or Hannah personally. A healthy dose of speculation and circumstantial evidence for sure! Possible image of Hannah or Emma Winslow. I want to thank Warren Chua for volunteering his time and Photoshop skills to clean up these images for me. They were in pretty rough shape for sure. Please visit my Winslow photo collection on Flickr for some more great historical images. What terrific work by all involved here. Wow! It’s the sort of research, comparison and connections made by deduction that I’ve read about art historians using to make attributions of works and artists. Like any great detective tale, it reads like a a great story! Thanks, and I’m really happy that there is not only one but two images that now show what Winslow looks like. Bravo!